Apologies for the blurry photographs. Iceland is dark in the winter and my camera (skills) are lacking in low light. 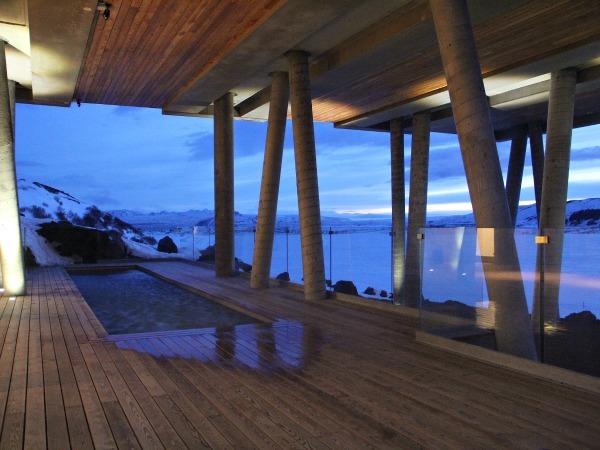 The Ion Luxury Adventure Hotel is a member of the always gorgeous Design Hotels collection. 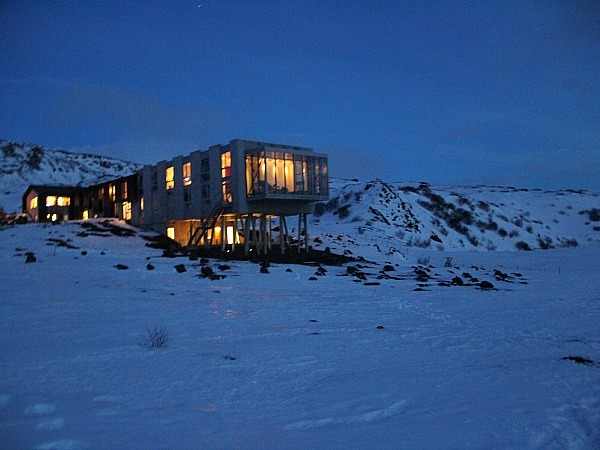 It is located in Selfoss, around 45 minutes from Reykjavík, on the slopes of the still-active volcano Mount Hengill on the edge of Thingvellir National Park. There is no public transportation that goes all the way to the hotel, so you can either arrange a pick up from the hotel ($300 round-trip) or rent a car and drive there (more on that). If you are driving in the winter, note that road 435 between Reykjavik and Nesjavellir is closed during winter from 1 October to 1 May, and that you need to take road 36 from Mosfellsbaer and then turn towards Nesjavellir on road 360 instead. 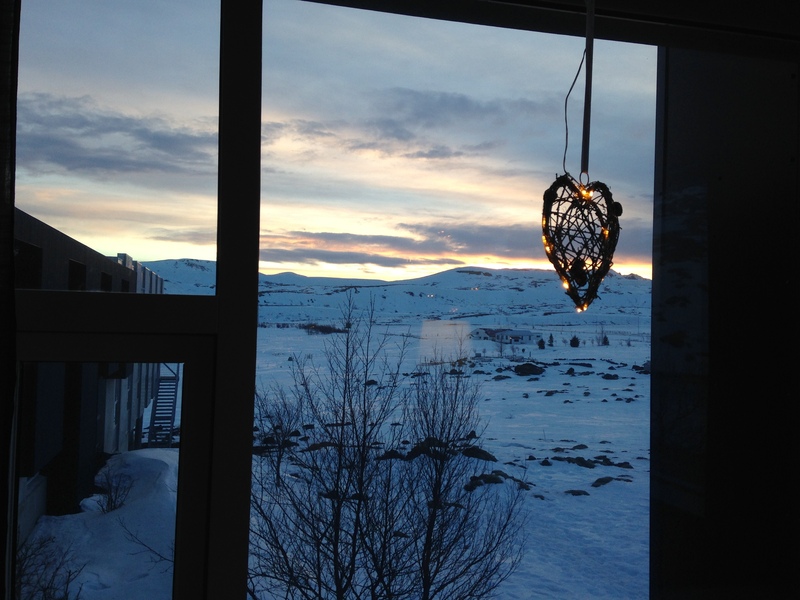 A big selling point of the hotel is that, with almost no nearby buildings, it is ideally situated for Northern Lights viewing. 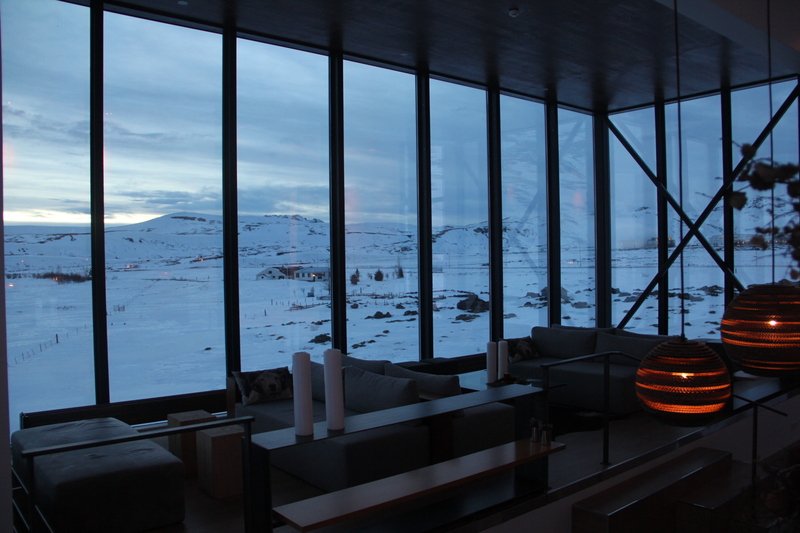 The hotel’s on site bar, named the Northern Lights Bar, has giant picture windows to create a near immersive aurora experience when they do come out to play and, on such occasions, turns the lights off for your undisturbed viewing pleasure. Sadly, I didn’t see the lights (and have still, in my life, never seen them). The manager was extremely apologetic, lamenting that it had been a whole three nights since she had seen them. The spa. Oh, the spa is a thing of beauty. 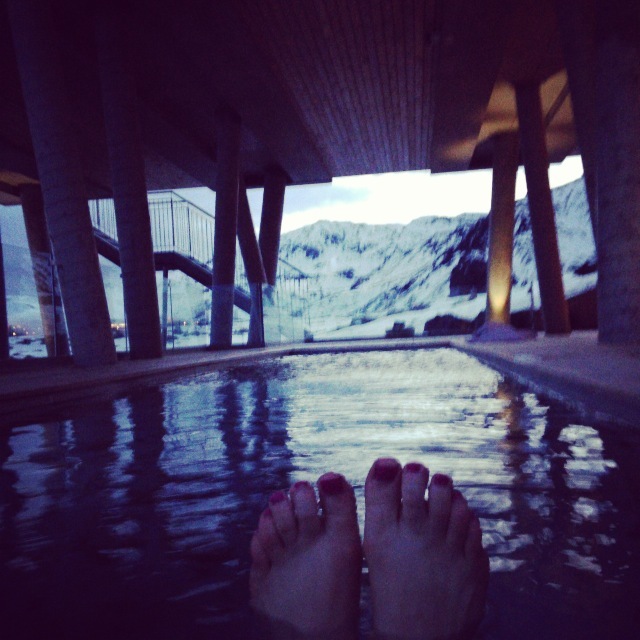 I didn’t get to experience any of the treatments because the lone therapist was snowed in somewhere on the other side of Iceland, but I spent a long time wallowing in this al fresco hot tub, heated to 100 degrees. The contrast of feeling the bracing frozen air before dipping into the boiling water was exhilarating and I found my self returning time and again during my one-night stay. 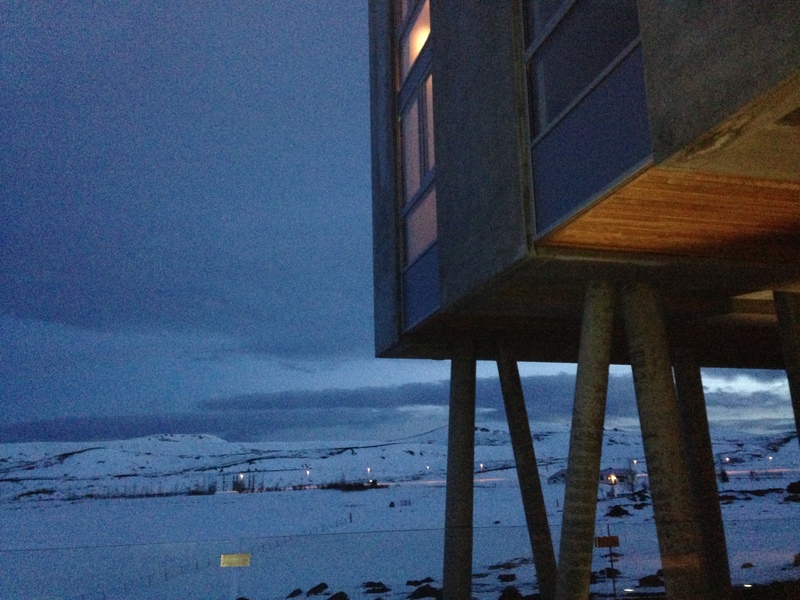 My room overlooked the spa, and out across the snow-covered volcanic tundra. Staying here felt otherworldy and so, so peaceful. I absolutely loved the horse mural in my room. 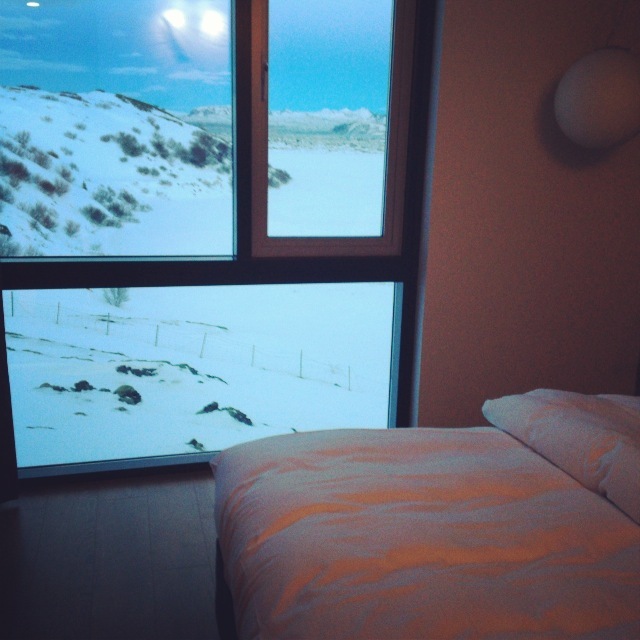 This is a Deluxe Room facing the lake; on the other side, geothermal plant-facing rooms have black horses instead. Energy and hot water is provided by the nearby Nesjavellir Geothermal Power Station and the surrounding hot springs (including Reykjadalur, which you can hike to from the hotel). Locally sourced wood is utilized throughout the hotel’s interiors, and all furniture is made from from recycled materials. Toiletries by Icelandic company Soley are all organic and use handpicked wild Icelandic herbs. 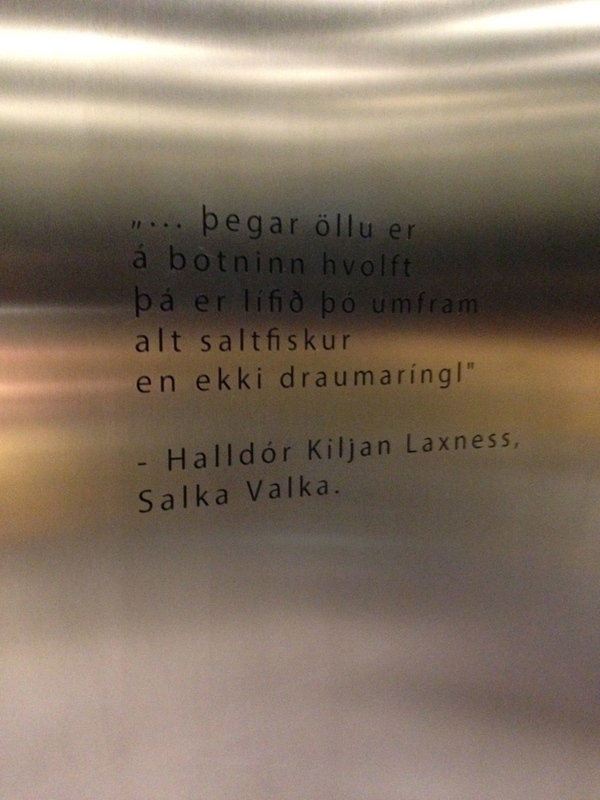 The on-site restaurant, Silfra, also makes use of sustainable and local ingredients. Uniquely Icelandic products, skyr, for example feature prominently on the menu. Reykjadalur locally sourced wood is utilized throughout the hotel’s interiors, all furniture is made from from recycled materials, and images of Icelandic wildlife are displayed throughout. 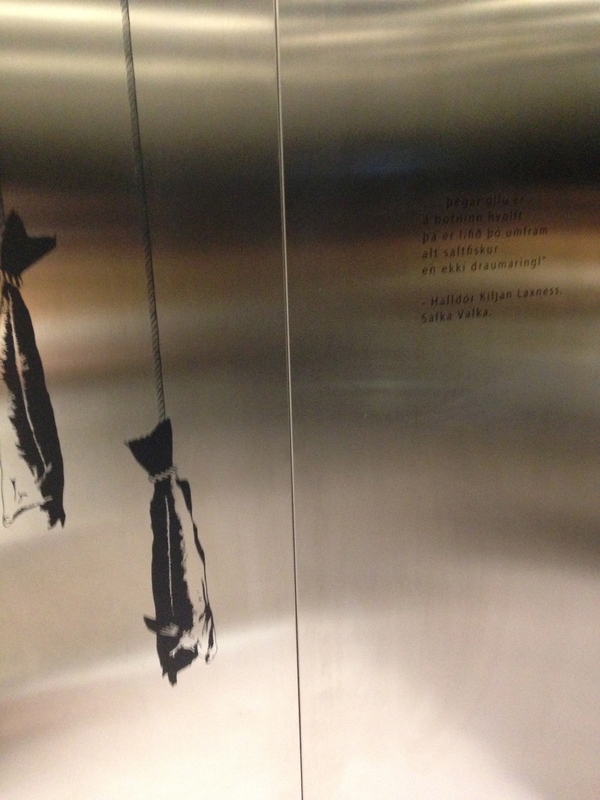 This is in the elevator. And here is a little decoration in the lobby. 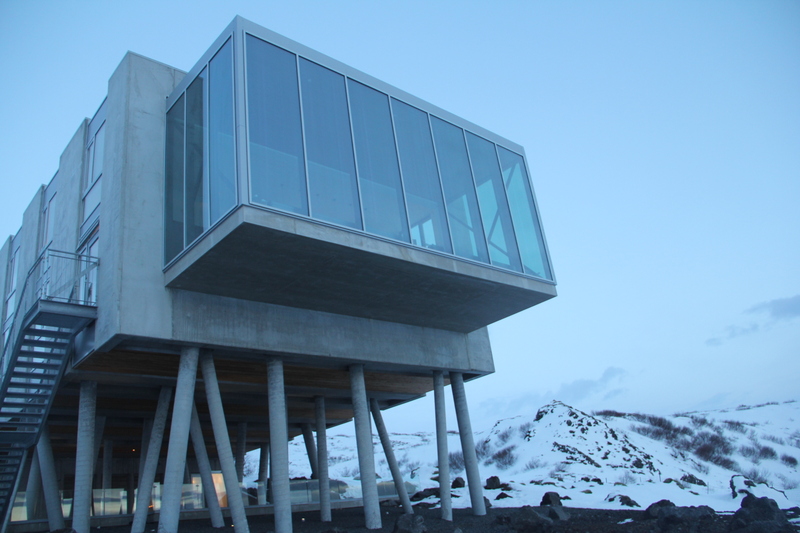 Ion Luxury Adventure Hotel still tops my list of hotels I have stayed at this year. It’s a bit of an effort to get out there, but absolutely worth the trek. I can’t wait to go back — whenever that will be. 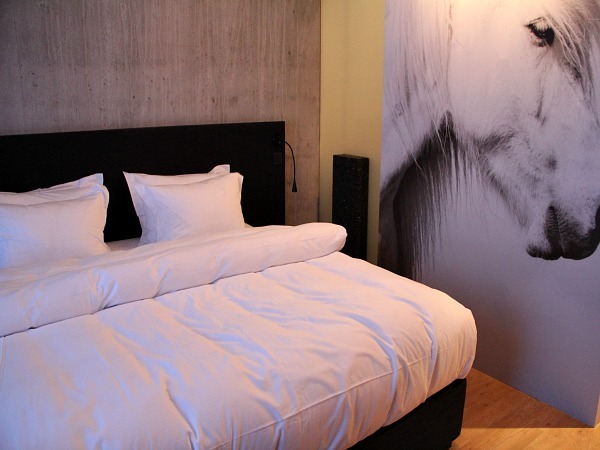 Disclosure: I was a guest of Design Hotels. All opinions are my own. It really is! I fell in love.